Closed Circuit Television is a surveillance system that allows you to record and monitor events, such as robbery, assault, suspected theft, operational matter or work accident. CCTV is an investment that will help guard your building, plant, equipment that enables your business to operate. Most importantly, CCTV helps to protect you, your employees, customers and welcomed visitors. Network Video Recorders (NVR) with Internet Protocol (IT) cameras. Digital Video Recorders (DVR) with High Definition Transport Video interface (HD-TVI) cameras. View on your Smart Phone, tablet or PC via this same Internet Protocol. 4, 8, 16 or 32 camera installations. 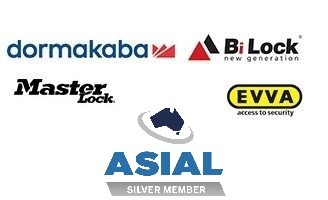 Keycut Services is an approved Queensland Government supplier and installer. We install CCTV on residential and business sites of all sizes. Use Keycut Services’ expertise to ensure your CCTV is properly installed, positioned and integrated into your overall security system.